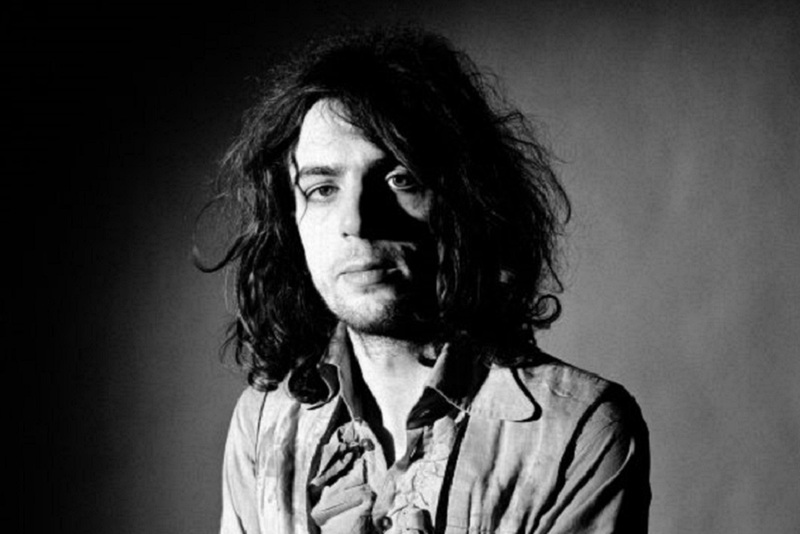 April 6th marks the 50th anniversary of one of rock’s strangest and saddest chapters, when Syd Barrett was officially declared to be no longer a member of Pink Floyd, the band he had captained since their birth and the vehicle he used to give voice to his unique artistic vision. Barrett formed Floyd with Roger Waters, Nick Mason and Rick Wright, moving them from R & B beginnings to their own psychedelic style. The Barrett-penned Arnold Layne was enough to get the band signed to EMI in 1967 and his See Emily Play gave them their first top ten hit. Of their debut album Piper at the Gates of Dawn’s 11 tracks, 8 were solely credited to Barrett, while a further two tracks had him as co-writer. Barrett was Pink Floyd‘s chief songwriter, the man who gave them their direction and the reason they first found success. But by the time Floyd’s second album, A Saucerful of Secrets, was released, it contained only one Barrett composition and his time in the band was almost at an end. The reasons for this are captivating, unsettling and, ultimately, very sad. Barrett was creatively unique and a lot of the psychedelic movement’s bands owed a great deal to his vision. But he was also mentally quite fragile. As is the case with much of Barrett’s story, there are a lot of tales that have since become legendary, but many of the people close to him have contrasting accounts of his behavior and his mental well being. What is certain is that Barrett developed a taste for the drugs that were fueling much of the psychedelic movement, drugs such as weed, mandrax and, most notably, LSD. Despite his prodigious drug intake though, it seems likely that these days there would be clearer diagnosis of Barrett‘s mental health, perhaps even one that was not recognised in the late 60s. There would also be more help available, but back then this was sadly not the case. Barrett’s family denied that he had suffered from any form of mental illness, but did allow that he had once spent time in a ‘home for lost souls’. Bandmate Roger Waters however believed that Barrett was ‘without a doubt’ suffering from schizophrenia. The huge amounts of LSD he was taking at the time may well have been a contributory factor, but David Gilmour stated ‘his nervous breakdown would have happened anyway. But I’ll say the psychedelic experience might well have acted as a catalyst’. Whatever the cause, his behavior became increasingly strange and erratic. Barrett reportedly went missing over a long weekend and came back irrevocably changed. Rick Wright believes that this was as a result of a massive overdose of LSD, as the change in him was so sudden. Following his return, Barrett was unable to recognise some of his friends and experienced hallucinations, confused speech and mood swings. His performance on stage inevitably suffered. Sometimes he would play one chord for the entire evening, detune his guitar so that the strings went slack or he would simply not participate in the concert and refuse to play. This behavior extended to other promotional duties; during an interview on American TV, Barrett refused to answer any questions, fixing the interviewer with a dead eyed stare and total silence. Nick Mason commented that Barrett ‘wasn’t into moving his lips that day’. As a result, David Gilmour was asked to join the band as a second guitarist, filling in when Barrett was unwilling or unable to perform. Sometimes, Barrett was simply not able to function as a live musician, to the extent of being unable to even hold a plectrum. Eventually, when heading to a show in Southampton, somebody in the tour van asked whether they should ‘pick Syd up’. A reply came – ‘Let’s not bother’ and Barrett became surplus to requirements. 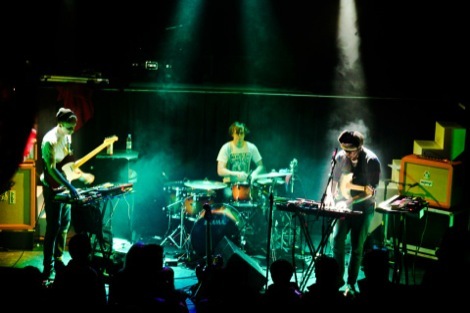 Soon this extended to an agreement which would see Barrett no longer taking part in live performances, but still being a non-touring member of the band. This arrangement came to an end when Barrett came to rehearsals with a song that was seemingly impossible for the other members of the band to learn. Barrett kept making changes to the song structure without telling the rest of the band, while singing the song’s title Have You Got It Yet. Eventually the band did get it, realising it was a song they were never meant to learn. Waters later called it ‘a real act of mad genius’. It was to be the last time Barrett played with them. Losing Barrett was not an easy decision, as he was the band’s driving force and songwriter and, in truth, it took Pink Floyd several years and several albums to come to terms with its effects. Barrett seemed equally bereft. He recorded two patchy, odd solo albums but seemed too distracted and detached to focus on them during the recording process and after. Tales of his eccentricities continued to circulate, including tales of him locking his girlfriend in a bedroom, passing biscuits under the door to sustain her and worrying stories of him being spiked with LSD in his morning coffee on a daily basis. But by this time, Barrett had become the subject of so many wild or apocryphal stories that it becomes difficult to separate truth from lies. Once here, he stopped calling himself Syd and reverted to his birth name of Roger. He took up gardening and returned to painting, his retreat from music and fame earning him a reputation for being a recluse. He survived on royalties from sales of the Pink Floyd songs he wrote, bolstered by the compilations the band released. David Gilmour was later to say that he ‘made sure that the money got to him’. He had occasional contact with members of his old band. Roger Waters remembered bumping into him in Harrods where Barrett, on sighting his old friend, dropped the sweets he was buying and fled from the store. Waters, not wanting to add to his old friend’s distress any further, made no further attempts to contact Barrett. One other meeting has since become the stuff of legend. Barrett somehow gained admission to the studio where Pink Floyd were recording Wish You Were Here and stood at the back of the room. The rest of the band failed to recognise him due to the fact that he had become quite overweight and had shaved off all his hair, including his eyebrows. 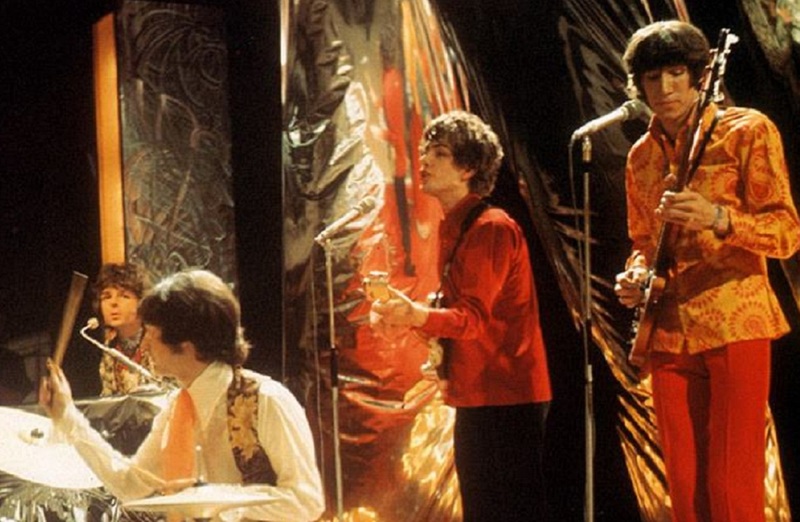 This was the last time any member of Pink Floyd saw Syd Barrett. Floyd were criticised by some quarters for the way they handle the situation, but with the band being so young it is hard to see what else they could have done, or how else they could have handled Barrett. A few years later, Joy Division found themselves riddled with guilt after the death of Ian Curtis but, with the benefit of hindsight, realised that they were ‘just kids’ and that they did not have the life skills, the knowledge or the experience to help their friend. It is easy to see comparisons with Pink Floyd and the way they coped with Barrett‘s problems. 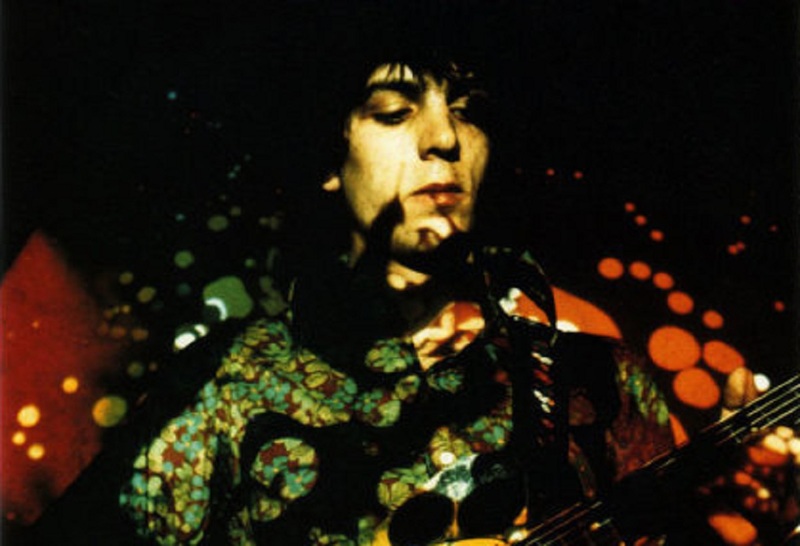 Syd Barrett’s influence cast a long shadow over British music for many years, whether in psychedelic music that he helped define or the articulate literacy of his lyrics, many people have found inspiration in his work. He was a one-off and an individual who had a creative drive and vision matched by few of his peers. Although the band he helped become famous went on to huge success, they owe their journey to the crazy diamond that was Syd Barrett.